First, an employee who requested FMLA leave or who is already on FMLA leave can be terminated for any legitimate reason that any other employee could be fired. This includes such typical reasons as misconduct, insubordination, policy violations, and performance issues. That employee can also be laid off like anyone else due to workforce reduction, restructuring, etc. The fact that the reason provided does not seem to be fair does not make that termination illegal. 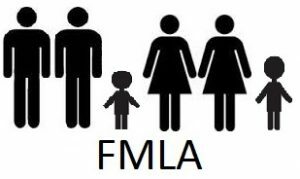 FMLA prohibits discrimination on the basis of exercising FMLA rights; it doesn’t mean that the employee should be treated better or with more lenience than other employees. Thus, if you were terminated anyway, requesting FMLA leave is not a shield from that termination. Of course, if you are terminated while on medical leave or shortly after requesting it, it creates a suspicion that the true reason for your termination is exercising your FMLA rights, which would be illegal. However, timing of termination relative to FMLA leave is generally not enough to provide FMLA discrimination and retaliation. An experienced attorney should be able to evaluate your termination in light of all the circumstances surrounding it to advise you whether there is sufficient evidence to make a claim of FMLA violation against your employer. Secondly, even if your termination would be illegal under FMLA, the employer can still choose to violate the law and fire you, and then deal with the legal consequences of illegal firing, if and when you decide to pursue a case against them. In fact, employers often intentionally violate the law and fire employees illegally because they just don’t want them around any more and they are willing to pay for it by spending money on defending the case against them and paying out settlements. In sum, it is important that you are aware of the above limitations on FMLA protection before requesting and / or taking advantage of your FMLA rights.